There has been so much symbolism in this week's reading. Commentaries have been very valuable to me this week in helping me understand the symbolism of the tabernacle, furnishings, and priestly garments. Each week I try to pick out one thing from what stood out to me in my reading and tonight what's on my heart is the incense I read about in today's chapter. The incense was a symbol of the prayers and intercession of the people going up to God. The golden altar from which the incense was burned every morning and every night stands out to me tonight too. It's representative of Jesus Christ, and brought back to my mind Jesus' prayer for you and for me that we find in John 17. I'd like to share that with you tonight. This week has been a hard week for me, and I'm thankful that God brought this passage of Scripture into my path earlier today during my Bible study time. To know that Jesus stands at the right hand of God praying and interceding for me (Romans 8:34) brings me great comfort at a time when I really need it. 4 “And Aaron and his sons you shall bring to the door of the tabernacle of meeting, and you shall wash them with water. Observations: Aaron and his sons were being set apart for God’s purpose to serve Him as priests. This consecration didn’t take place inside the tabernacle, but took place outside at the door of the tabernacle so that others could see. What a humbling experience to be washed in water publicly! Application: 1 Peter 2:9 tells us, “But you are a chosen people, a royal priesthood, a holy nation, God's special possession, that you may declare the praises of him who called you out of darkness into his wonderful light.” As God’s chosen people, we should be declaring His praises to those who still walk in darkness. We have been set apart and are washed by the work of the Word of God within us (Ephesians 5:36) and by the regenerating work of the Holy Spirit within us (Titus 3:5). The cleansing that we have received is through the precious blood of our High Priest, Jesus Christ, shed for the forgiveness of our sins in his death on the cross (Revelation 1:5). Can others outside the four walls of our church see from the lives we live that we are set apart for God? Are we walking humbly before God and before man? Or do we care too much what someone will think of us if we’re real with our struggles? Maybe God wants to use the struggles of our lives to minister into the life of another who is going through the same struggle? Will we allow others access into those places of our lives so that we can comfort them with the same comfort God has given to us? Kneel: Heavenly Father, thank You for bringing these questions to my mind this morning as I struggle with how much or exactly what I need to share of the struggles in my life. I don’t want to miss out on the opportunity to comfort others with the same comfort that You have given me. Maybe You’re trying to tell me that I don’t necessarily have to share all the details, but that I can still extend words of comfort from those struggles I have in common with others. Help me to recognize opportunities to sing Your praises throughout my day and in my contact with others. Help me to live my life so that others can see a difference in me – that I am truly Yours – and will want to come into a saving relationship with Jesus Christ. I pray that the power of the Holy Spirit will continue to work in me enabling me to be who You’ve created me anew to be and to do all that You’ve called me to do. It’s in the life-changing name of Jesus I pray. Amen! *** And I have to mention the anointing oil in verse 7! The oil used in the anointing is a picture of the Holy Spirit that we receive at salvation and walk in by faith! The anointing oil was POURED over Aaron's head. I'm so thankful to be filled with the anointing of the Holy Spirit in my life that empowers me to live as God calls me to live. 1 “You shall make an altar to burn incense on; you shall make it of acacia wood. 6 And you shall put it before the veil that is before the ark of the Testimony, before the mercy seat that is over the Testimony, where I will meet with you. 7 “Aaron shall burn on it sweet incense every morning; when he tends the lamps, he shall burn incense on it. Observations: God gave instructions to Moses for the altar of incense. Incense is a picture of prayer, in the sweetness of its scent and the way it ascends to Heaven. He also gave instructions for the spices that were to be used when making the incense that was to be burned on the golden altar every morning and evening at the same time the burnt offerings were made. It was to burn continually as a sweet smelling aroma to the Lord. Stacte, onycha, galbanum, and pure frankincense were to be used in equal amounts in the mixture. This incense was considered holy for the Lord and could not be used for any other purpose. The incense symbolized the prayers and intercession of the people going up to the Lord as a sweet aroma. God desired His dwelling to be a place where people could approach Him and pray to Him. The ministry of the altar of incense is a picture of how we as God’s people should continually come to Him in prayer. The golden altar of incense is a picture of the intercession Jesus continues to make for us today (Romans 8:34). Application: Our prayers are still a sweet aroma to God, and He still desires that we continually come to Him in prayer. We can find comfort and hope in the truth that we are given in Romans 8:34 that tells us Jesus continues to make intercession for us. John Wesley said, “God does nothing except in response to believing prayer.” We have to believe God is going to answer when we pray. His answer may not come in the way or in the timing we would prefer, but we should never give up in our prayers. Kneel: Heavenly Father, thank You for the gift of prayer – our way of communicating with You. That You desire to be in constant communication with us is so comforting and uplifting. May we not neglect this important and necessary part of our lives as Your children. Open communication is so important in any relationship – even more so in our relationship with You! 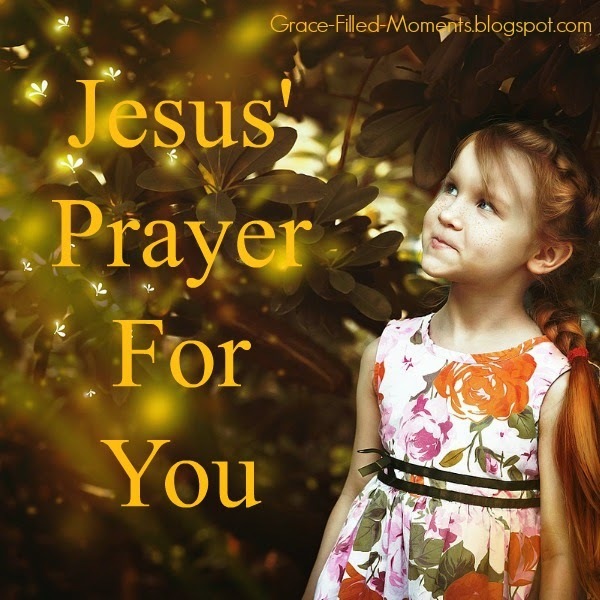 Thank You, Jesus, for showing us how we should pray in the example You gave us in The Lord’s Prayer. Thank you, Jesus, for continuing to intercede to the Father on our behalf as we sojourn through this world. I find so much comfort and hope in that truth. I love You and thank You. In Your mighty name I pray. Amen! Join me back here on Monday for another week of Blogging Through the Bible! We'll be reading Exodus 31-35. Have a great weekend! I'm linking up with Courtney Joseph over at Women Living Well, home of Good Morning Girls. Click on the image below to read more Blogging Through the Bible posts!